Last week, I had the privilege of meeting up with the Harrisburg Social Media Club at an awesome new spot in Lemoyne, PA- Macris Chocolate! The store just opened its doors in October 2014 but is part of a larger company that has been making gourmet chocolate since 1919! 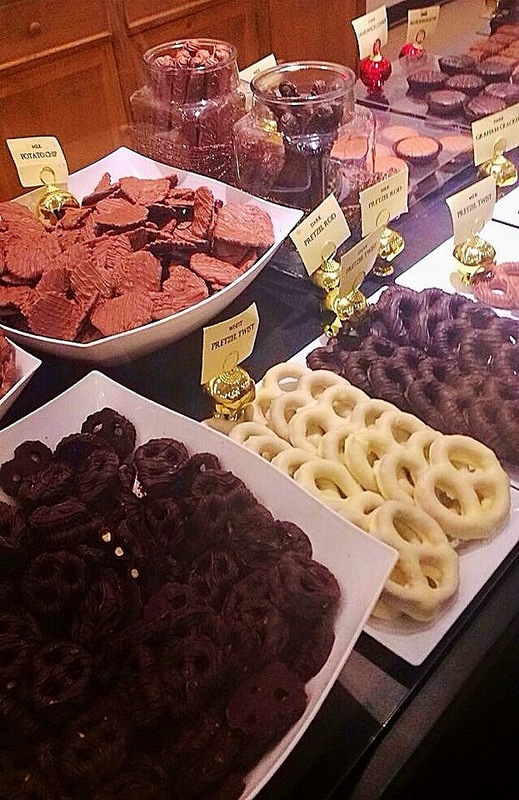 Elena Macris, Owner, comes from a long line of chocolate experts. She's ventured off from her family's business, Philadelphia Candies, and is definitely going to do big things here in Central PA! 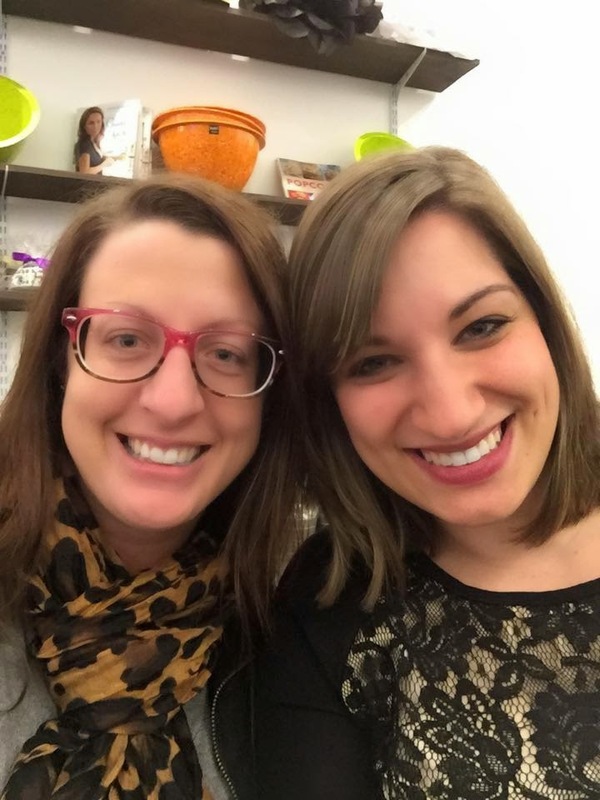 I also got to hang out with Ellen- check out her amazing blog, Ask Away! Macris also does all kinds of customization. You can stop in the store and purchase pre-packaged gifts, favors for corporate parties, or coordinate full chocolate experiences for events. They really have so many great solutions and are 100% willing to work with you on anything you want! Such a great perk of a small business. The pairing was an entirely new experience and it was so fun to taste all different types of chocolate! And of course, I couldn't leave empty handed. I brought home a pound of chocolate (only $22) for my Fiance and his family to enjoy. I had such a hard time deciding which of the chocolates I wanted! I ended up with such a variety that included chocolate covered pretzels, marshmallows, graham crackers, potato chips, truffles, and more! 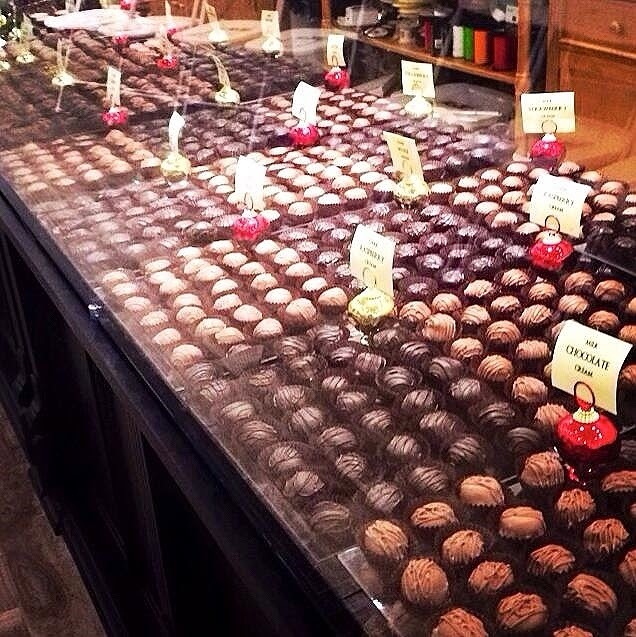 If you live around the Harrisburg, PA area, you absolutely MUST stop in to Macris Chocolates. Whether it's to buy for an event, a gift, or just a treat to yourself, you won't regret it! But if you live outside the area, don't worry, Macris Chocolates and Philadelphia Candies will actually ship packaged chocolates directly to you. So check them out ASAP, and follow Macris Chocolates on Facebook and Twitter! What's your chocolate of choice?! I received no compensation for this post. All opinions and views expressed are my own.